Gibbs Pharmacy started in 1989 by Owner and Lead Pharmacist, Jim Gibbs. Byron Pirtle and Jim became business partners in 1997. Together, Jim and Byron have successfully created a small town Pharmacy with "Big City" technology. At Gibbs Pharmacy, it is about the entire patient, from prevention to overall wellness. The Pharmacists at Gibbs Pharmacy have over 100 years combined experience. The Technician staff has over 75 years combined experience. Jim Gibbs has been on the University Medical Center hospital campus over 25 years and knows the local Doctors and their practicing habits. 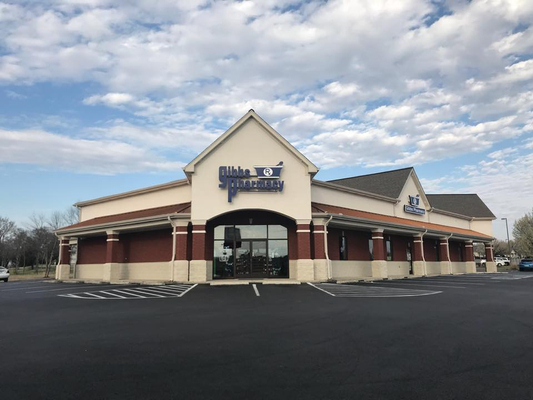 The combination of expertise and personal counsel has made Gibbs Pharmacy the place to care for the wellness of your entire family. We are proud to employ 4 pharmacists and 12 certified technicians. Our fully staffed pharmacy is equipped to devote the time necessary to fill your prescription accurately. Jim Gibbs and Andrew Byrd constantly strive to improve our pharmacy's workflow and minimize errors. We respects our patients and their time. We all lead busy lives and Gibbs Pharmacy understands the importance of dispensing prescriptions in a timely manner. The majority of our prescriptions are prepared within 10-15 minutes. We also offer a convenient and quick drive-thru service. We recognizes that the care of a patient involves more than just pills. We offer enhanced services such as immunizations, wellness screenings, compounding and diabetes care. We also utilize the latest innovations in automation and technology to ensure that patients receive the best care possible! James is lead Pharmacist and owner of Gibbs Pharmacy. Jim graduated from Samford University College of Pharmacy. He began his pharmacy career in 1979 and later opened Gibbs Pharmacy in 1989. His co-owner and partner until 2018 was Byron Pirtle. Jim has always run a progressive and diverse business. He strives to set his pharmacy apart from others. 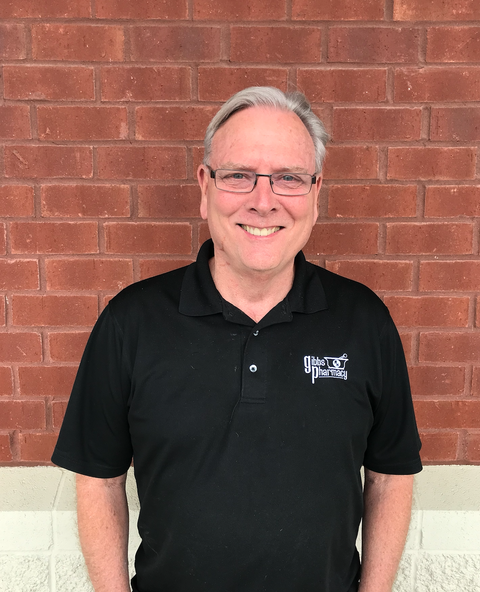 He is passionate about running a pharmacy that is more than just a business, but rather focused on building strong relationships with the community. Andrew Byrd is lead Pharmacist and owner of Gibbs Pharmacy. Andrew graduated from Lipscomb University's College of Pharmacy in 2013. 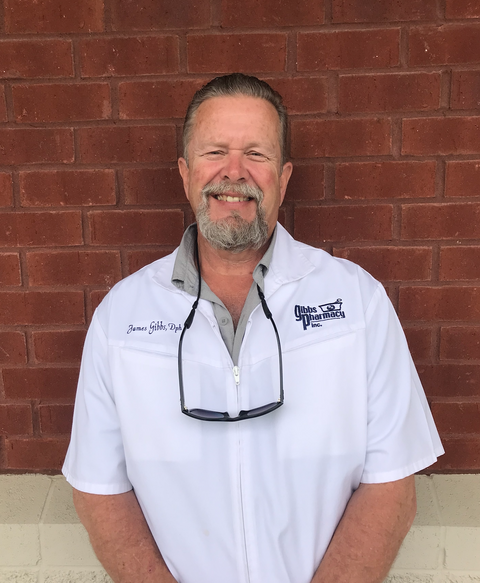 While he has acted as a staff pharmacist for several years, he recently purchased his share of Gibbs Pharmacy and became co-owner and partner to Jim Gibbs. 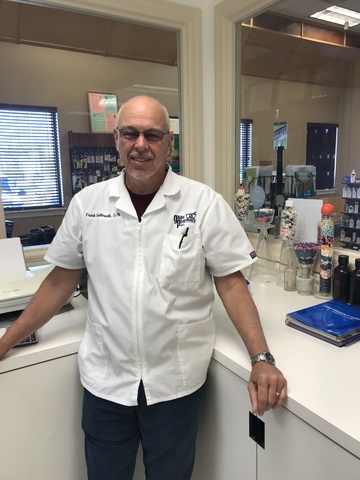 Frank is our Staff Pharmacist and Compounding Pharmacist. Frank is a College of Pharmacy Alumni of the University of Tennessee. Kimberly is a Pharmacist here at Gibbs Pharmacy. Kim is a graduate of the University of Tennessee's College of Pharmacy. She also works as a diabetic educator at the Gibbs Education Center. Byron is a Pharmacist and past co-owner of Gibbs Pharmacy. Byron is a graduate of Samford University. Zach Swaffer, PharmD.Our newest pharmacist. Zach, 26, is a recent graduate of the University of Tennessee College of Pharmacy in May of 2018. 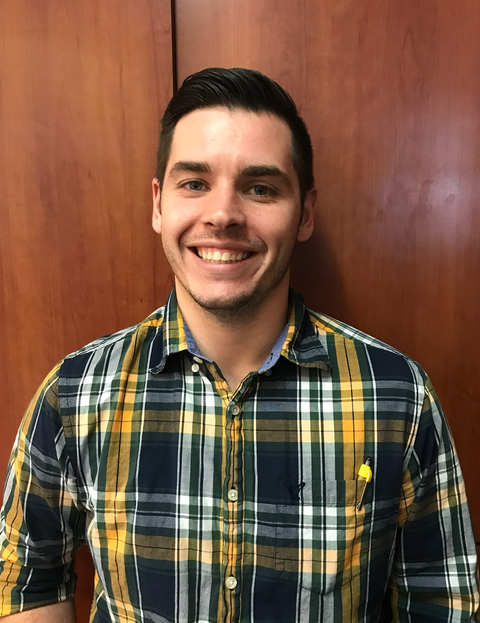 Zach has a strong passion for independent pharmacy and helping people in the community. Zach spent some time here at Gibbs Pharmacy as a student and truly impressed. 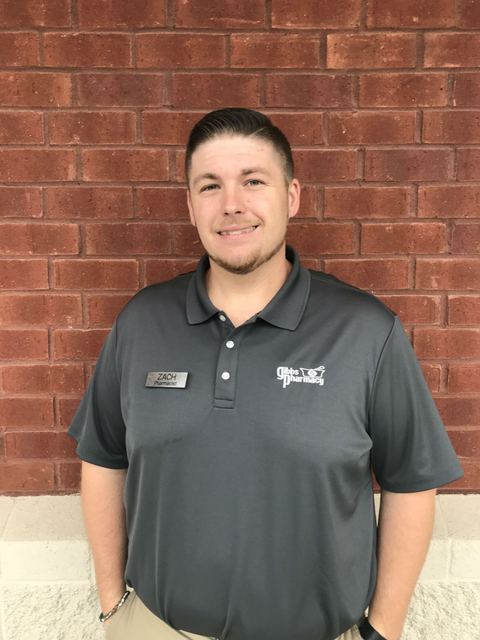 Zach’s personality, knowledge base, ability to communicate, and passion to serve our community make him a terrific fit for Gibbs Pharmacy and our patients. Cindy is a Certified Pharmacy Technician and Certified Mastectomy Fitter. She is also the owner of the non-profit organization, "Driving Hope". All of the proceeds that Cindy raises goes to pay for cab rides through Kelly Cab Co. for patients needing rides to medical visits. 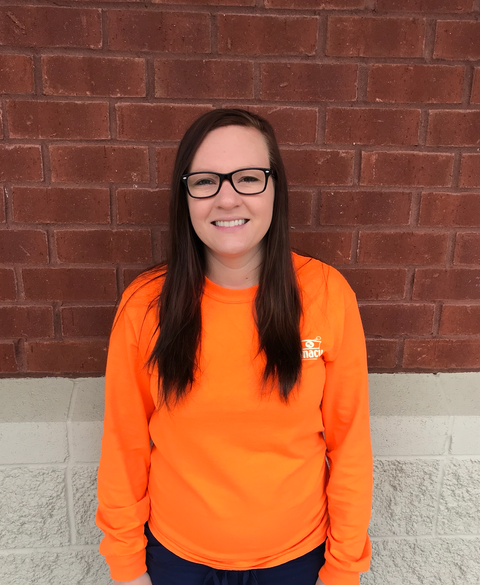 Keri is a Certified Pharmacy Technician and Sync Coordinator. 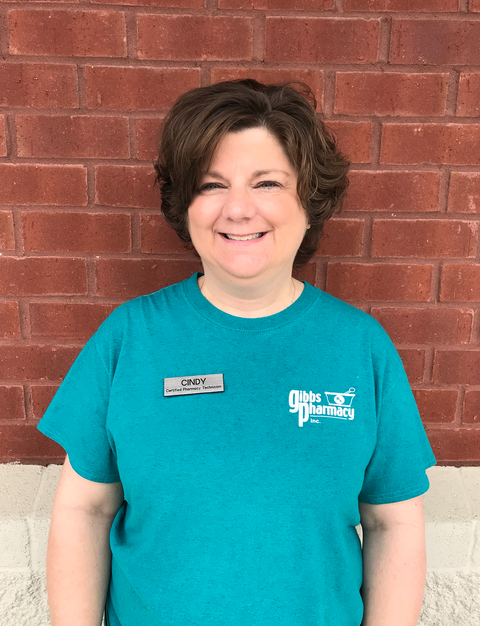 Keri has been an employee of Gibbs Pharmacy for 17 years. She has many roles in the pharmacy. 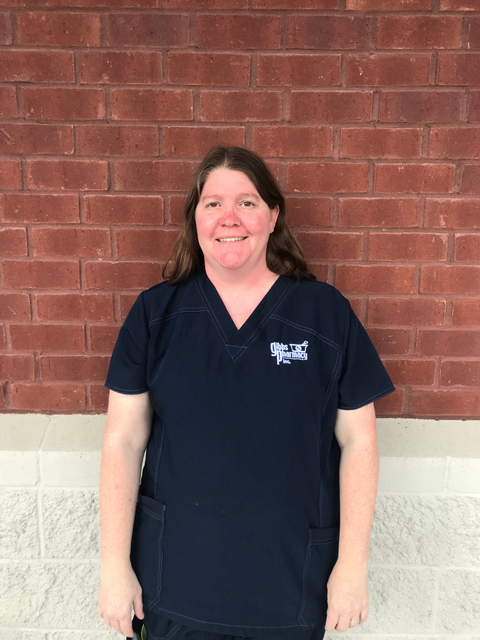 Keri began as a compounding technician, but has been the lead technician for the last 10 years. Currently, Keri is the Enhanced Patient Services Manager. 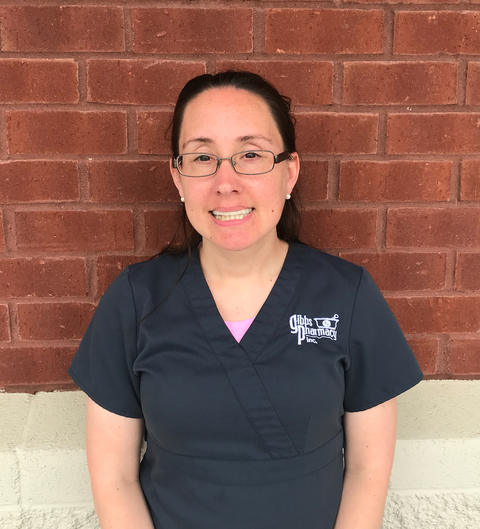 Jennifer is a Certified Pharmacy Technician, Sync Coordinator and Group Home Med Manager. 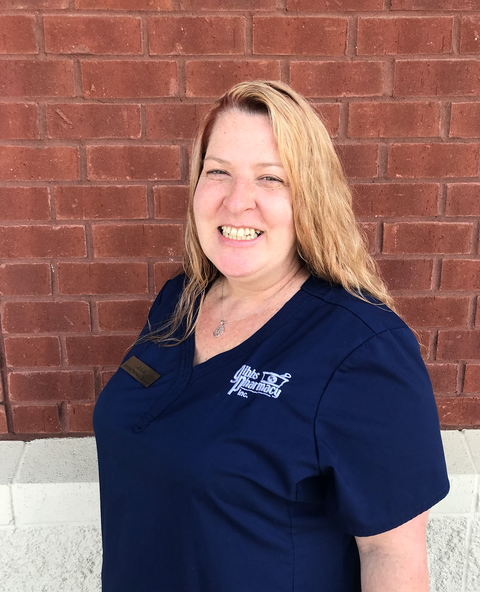 Jennifer is a long time employee of Gibbs Pharmacy and has managed many different roles in the pharmacy. She is very passionate about her patients and cares deeply for each one. Christiana is a Certified Pharmacy Technician and Pharmacy Operations Manager. Christi manages all of our vaccination programs and coordinates all staff duties. She has been an employee since she was 17 years old. 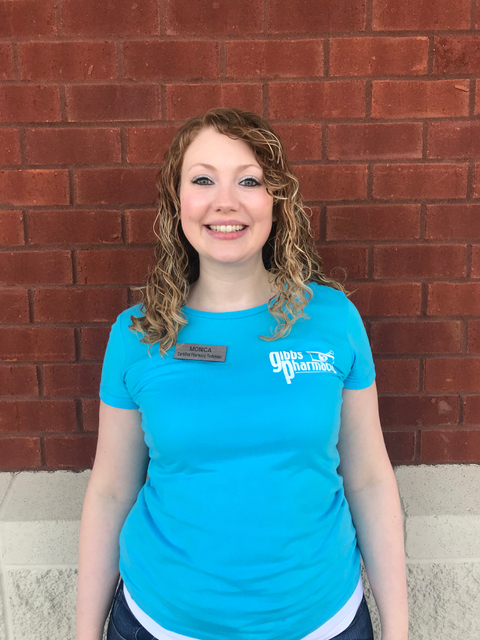 Outside of the pharmacy, Christi is an avid beach-goer and Nashville Predators enthusiast! She spends her free time with her husband and two beautiful children. 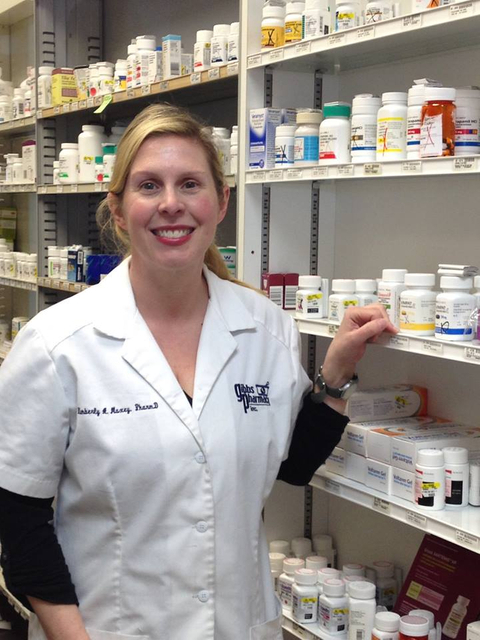 Bonnie is a Certified Pharmacy Technician and Long Term Care Specialist (Med Packaging). Bonnie, a Wilson County native, has an associates degree and has been a certified pharmacy technician since 2001. She manages the running inventory of our pharmacy and helps with packaging. Jennifer is a Certified Pharmacy Technician and Long Term Care Specialist (Med Packaging). Jennifer has been working in the pharmacy field for 19 years. Julie is a Certified Pharmacy Technician and Medical Assistant embedded four local providers offices. 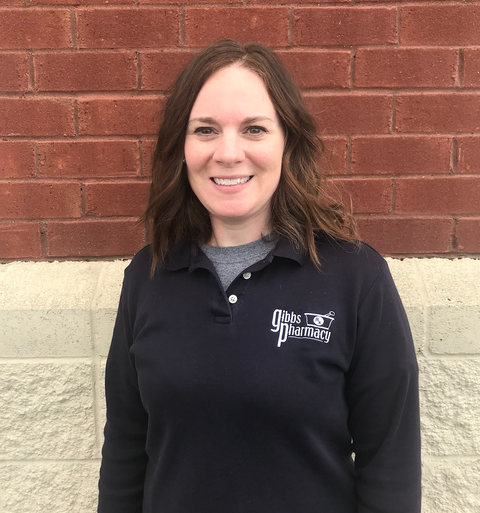 She goes above and beyond as a patient liaison between Gibbs Pharmacy and the offices she represents. Julie is from Nevada but now calls Tennessee her home. 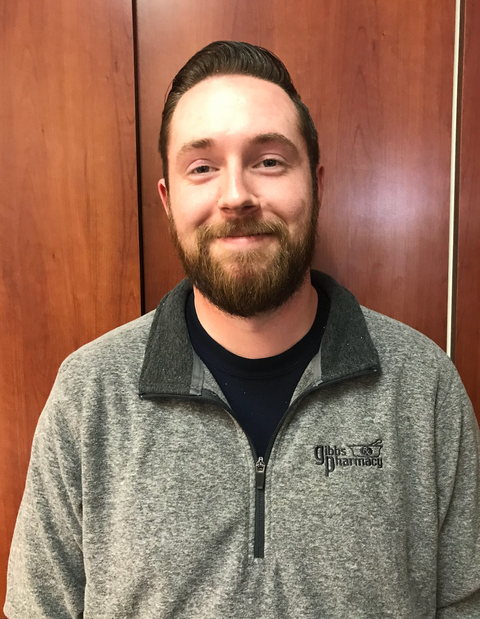 Spencer is a Certified Pharmacy Technician at Gibbs Pharmacy. He is a passionate and hard working technician who loves to help anyone in need. Sara is a Certified Pharmacy Technician and Community Outreach Coordinator. She has been a CPhT since January 2016 and has been with us since 2017. She loves connecting with our community! 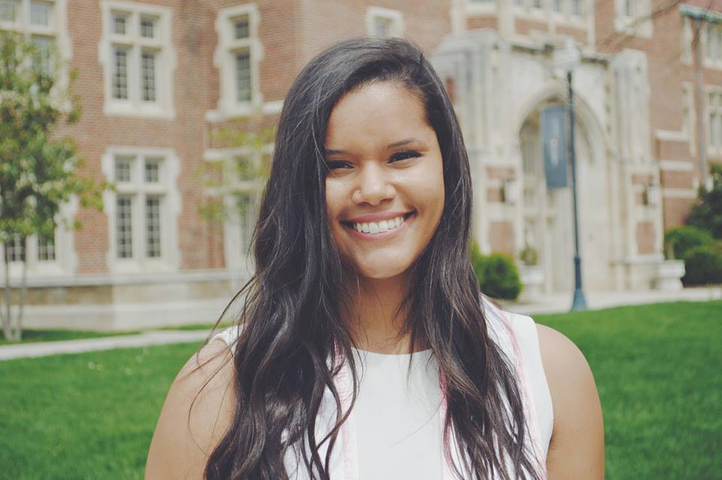 Eleese is a recent graduate from the University of Tennessee at Knoxville. She enrolls in pharmacy school at the UT Health Science Center in Memphis in the fall of 2018. Christian is a graduate of Siegel High School and a native of Middle Tennessee. She currently plays a big role in customer relations at Gibbs Pharmacy. 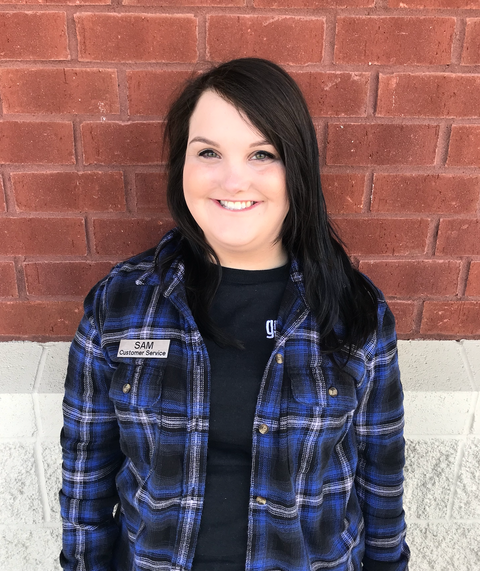 Samantha began working in the Customer Service Department at Gibbs Pharmacy in 2016. She has an associate's degree and has recently completed her pharmacy technician certification. 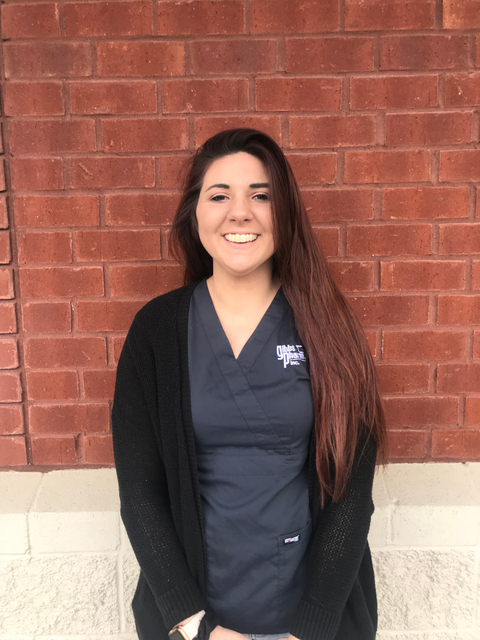 Since passing her exam, Samantha has contributed substantially to our Personal Fill Program and also assisted in our specialty drug operations. 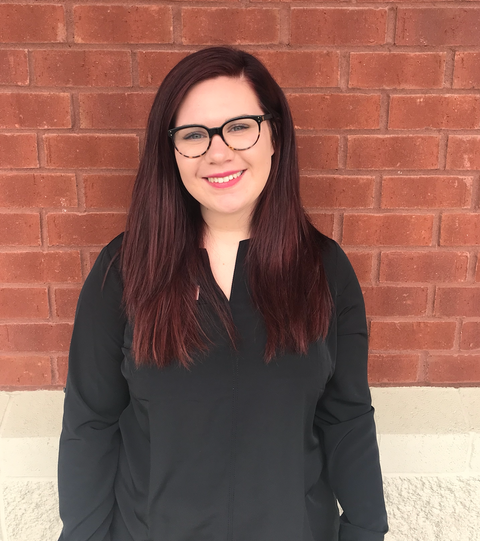 Samantha is currently a student at Middle Tennessee State University and is pursuing a bachelor's degree in Healthcare Administration. Kristy is a graduate of Smith County High School and a native of Carthage, Tennessee. 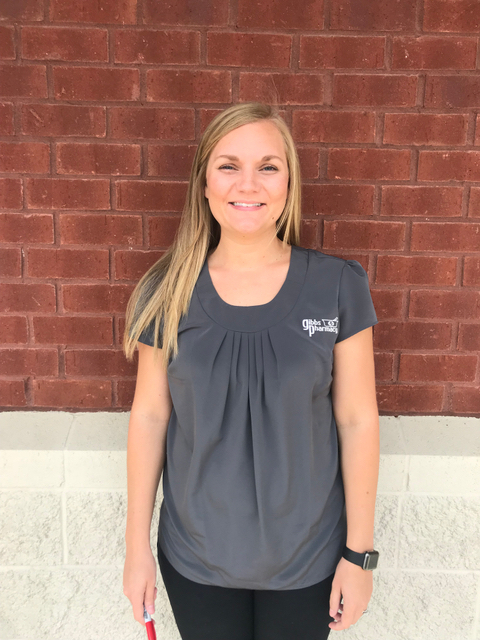 In 2017, Kristy joined the Gibbs Pharmacy staff in the Customer Service Department. 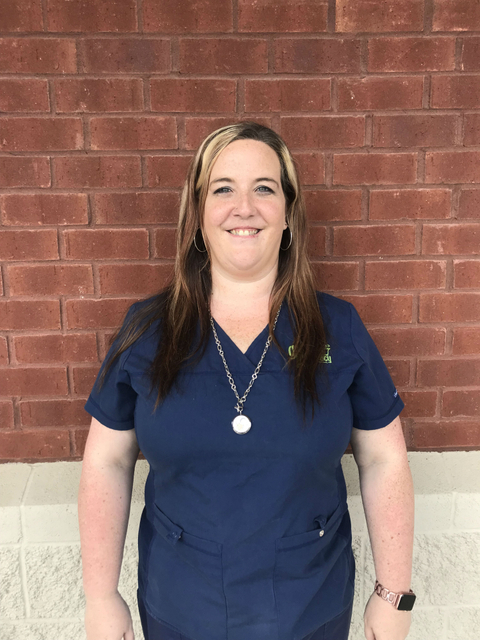 Kristy recently passed her pharmacy technician certification and is excited to start her career in this new role. 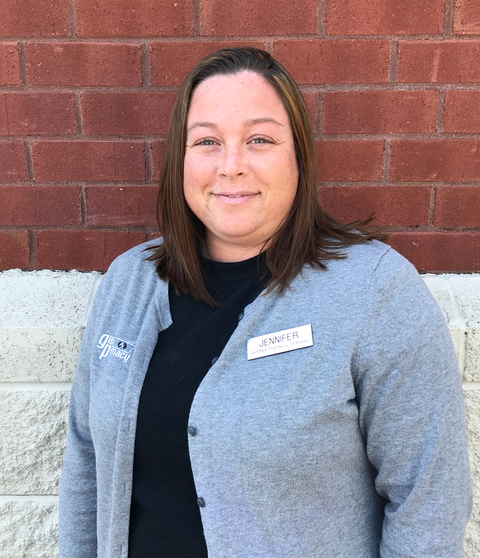 Missy is a Wilson County native and is very involved in our community. 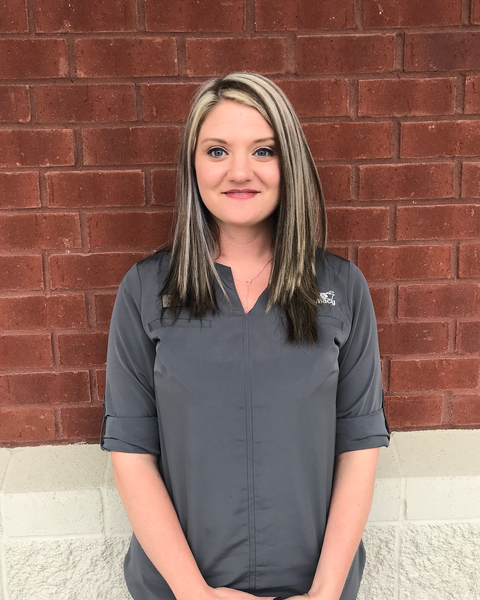 While she has a BS degree from MTSU, she has also been a Certified Technician since 2010. Currently, Missy is the Patient Clinical Services Coordinator and manages all vaccines offered by the pharmacy. Holly graduated as a Medical Assistant from Fortis Institute in 2012. In 2013, she began her career as a pharmacy technician and then completed her certification the following year. 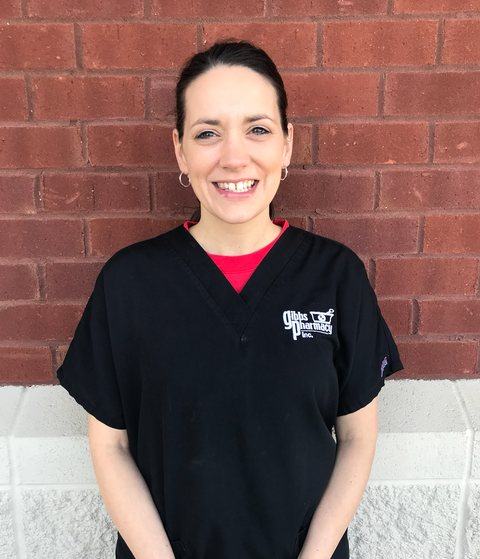 Holly has utilized all of her skills as both a MA and Certified Technician at Gibbs Pharmacy since she joined us in 2018. She has also recently advanced to the role of Specialty Drug Operations Coordinator at the pharmacy. Cassandra has been a CertifiedTechnician for 5 years. She has been actively compounding since her certification, and is now the Lead Compounding Technician at our pharmacy. She has two children and is from Carthage, TN. She has a lot of experience working in the medical field, but has just begun her career in pharmacy. 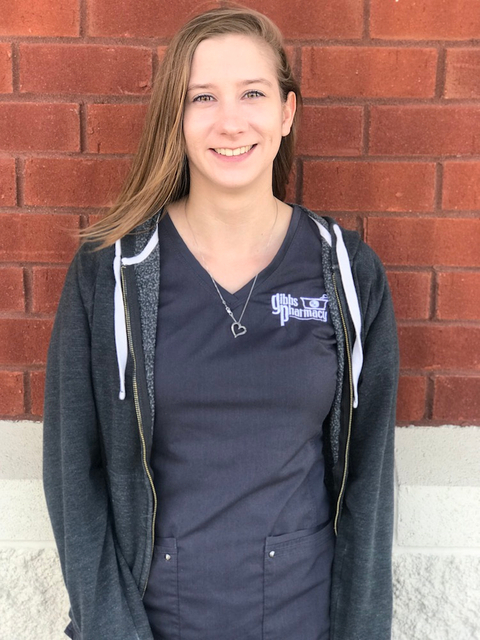 Kindra is studying to pass her National Certification exam to become a CPhT in the fall of 2018. 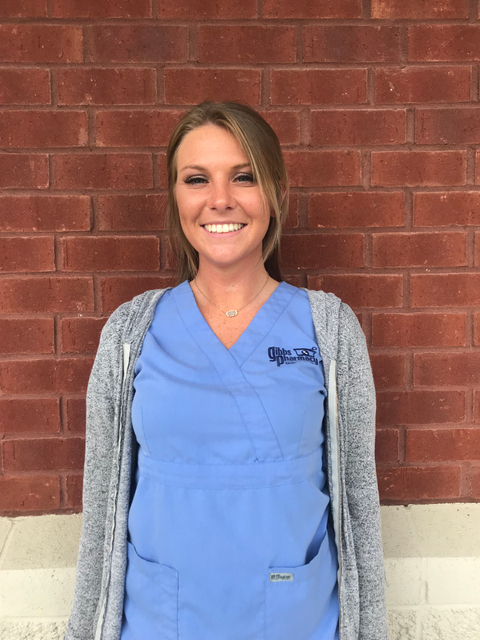 Bailey was born and raised in Louisville, KY. She joined the staff of Gibbs Pharmacy in the Spring of 2018. Hannah is a recent graduate from Trousdale County HighSchool. 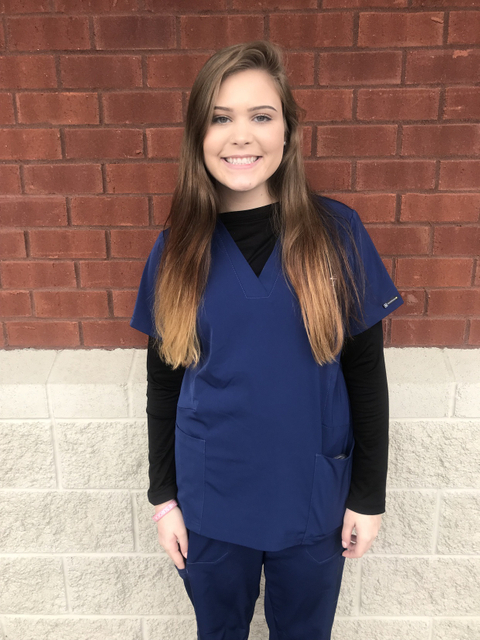 She is currently enrolled in the Medical Assistant program at GenesisCareer College with plans to graduate in April of 2019.